With the increasing pollution in air and water, your prone to fall ill more often. If you want to give a good health to your family, drinking pure water, free from pollutants is necessary. RO water purifier is one of the best appliance that you have at your home or office to ensure that you are drinking safe water. These are available in various sizes and can hold water as much as 10 liters. 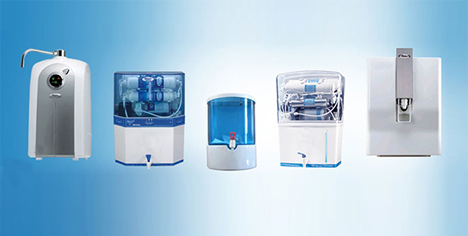 Moreover, these RO water purifiers do not require much space in your home and office as it can be wall mounted. But if you want these RO water purifiers to be running fine for years you must consider its regular maintenance. If you are looking for RO water purifier repair in Mumbai, Super Sure Services located in Borivali can be of great help. Our technicians are trained specially to repair RO water purifier. We are known for our prompt response and reasonable service charges. We offer repair, installation & annual maintenance package which makes the maintenance and servicing of your RO water purifier more economical than the onetime charges. You can easily contact us any day of the week on phone or by filling up the inquiry form. We also undertake the Installation, Repair and Maintenance service of your current RO water purifier. Just call us and we will be able to serve you!